Journey to the snowy winterlands of the past with the Coldsnap set - the long-lost finale of the Ice Age block. Experience a modern take on a Magic: The Gathering classic. 15 randomly inserted game cards per pack. Rulebook not included. New players should begin with a Magic: The Gathering core game. Look for these Coldsnap products. Sold Separately. Add deadly strategies with 15-card booster packs. 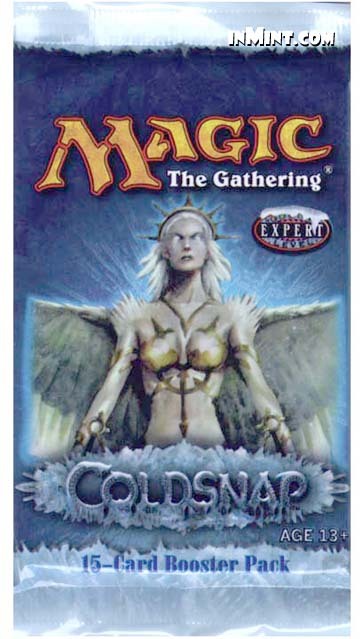 Explore the Coldsnap set with ready-to-play 60-card theme decks. Get the story. Get the strategy. Get the cards. Get the fat pack.